Ever since I can remember I’ve loved the English language. And with understanding any langauge one must understand the rules of engagement. It seems that some people have forgotten about the rules of engagement when it comes to reading and understanding God’s word. In this series I’ve been doing on the seven “I am” statements of Jesus in the Gospel of John, he constantly uses a definite article in describing himself. An article is defined as any of a small set of words or affixes (as a, an, and the) used with nouns to limit or give definiteness to the application. Whenever Jesus describes himself he needs to use the definite article (the) because of his alpha and omega status. The first thing he said (and the emphasis of this particular blog) is that he was “the way.” Thomas wanted to know how they could know the way. Thomas did not know how important and relevant his question was. Jesus is the way maker. He can literally make a way out of no way. When Israel was trapped between Pharoah’s army and the Red Sea, it would have easily been assumed that God would simply take care of the problem and eliminate the army. The Lord instead got rid of the very thing that troubled Israel the most. You see, it would have been very easy for God to eliminate the army. God did the more impressive stunt by eliminating the hardest part. I still get overjoyed wondering how Israel felt crossing the Red Sea on dry ground. God made a way out of no way in this situation and all Jesus was doing is introducing his disciples to the family business. 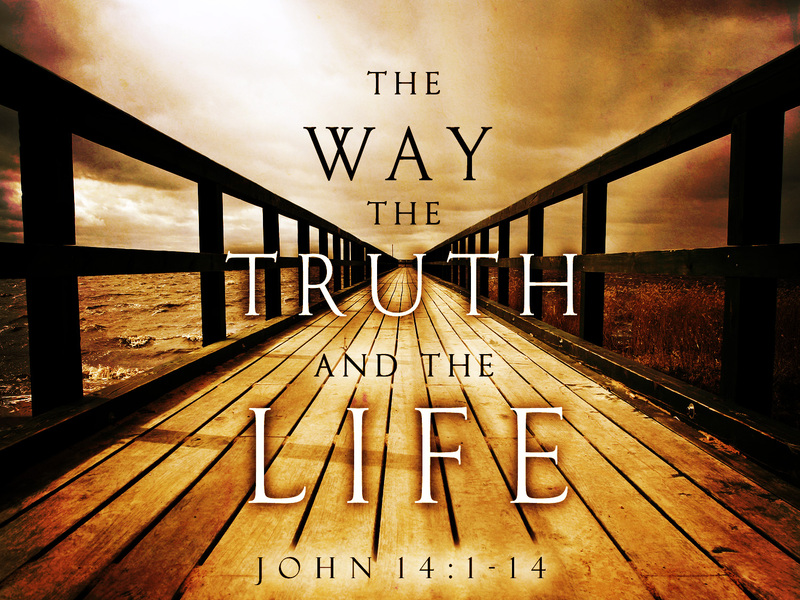 For eternal life, Jesus says that he is “the way.” He is the way back to God for those who have been separated by sin. He is the way when situations are bigger than us. And he is the way when it comes to saving our souls. The question now: Is he your way?